Using maths and engineering to solve problems in food production, biotechnology, resource efficiency, water and sustainability. Could your industry challenge be solved with help from researchers in mathematics, statistics, engineering, computer science? Data science, artificial intelligence, mathematical and statistical modelling at multi scale are key strengths of the UK research base, and can be transformational when applied to industrial problems. Over the last few years KTN has joined forces with academic partners to harness the expertise of the research community and address nominated industry challenges through Mathematical Study Groups with Industry. At the first study group in January 2017, held in partnership with the University of Bath’s Institute for Mathematical Innovation (IMI), 40 mathematicians, engineers and computer scientists spent three days working on challenges that included improving cocoa yields for the chocolate industry, helping farmers to optimise the value of pigs, and refining the design of a hydroponics system for crop production. The following year KTN teamed up with the International Centre for Mathematical Sciences to run another successful study group. 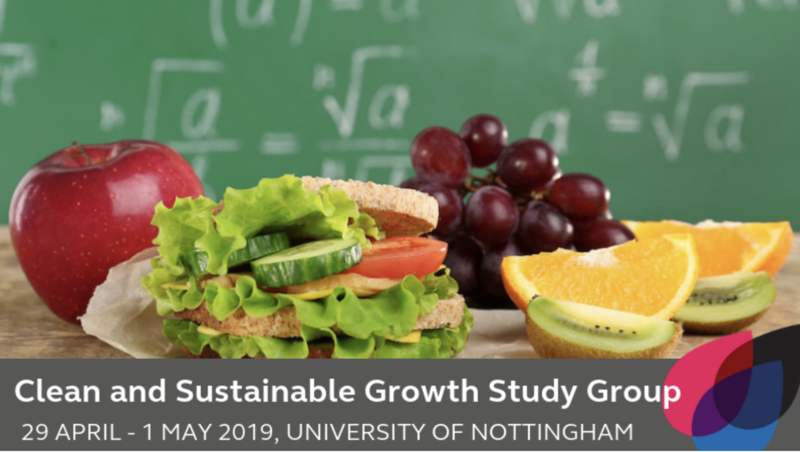 The third study group, taking the theme of Clean and Sustainable Growth, will be held in partnership with the University of Nottingham on 29th April – 1st May 2019. Once again we will bring mathematical science researchers from across the UK to work on a number of industry problems over three intensive workshop days with the aim on producing solutions to industry problems from areas as diverse as agriculture, food production, biotechnology, resource efficiency, water and sustainability. Pose a challenge to the Clean and Sustainable Growth Study Group. The call is currently open for companies large and small to indicate their interest in posing a problem to the Study Group. By bringing your challenge in front of the study group you will have a unique opportunity to access to highly qualified researchers, with the potential to get new solutions provided in a written report. If you would like to present a problem to the study group please contact Matt Butchers and Markus Owen detailing your interest and they will then work with you to develop it into a potential problem statement for the Study Group. This Study Group is fully funded by the University of Nottingham Leverhulme Doctoral Scholarships programme “Modelling and Analytics for a Sustainable Society” with Support from Innovate UK’s Knowledge Transfer Network; as such, there is no cost for industry to bring a problem to the Group. So how does the study group format work? On day one of the study group the selected representatives from industry will present their problems to the researchers in mathematics, statistics, engineering, computer science and related areas. They will then work together towards practical solutions, and first steps in approaching problems. The academic participants will benefit from the access to real and novel industry problems, allowing them to expand their research portfolio. They also gain from this vital contact with industry and from meeting and working alongside academics from different research areas. At this stage, the call is for companies to send problems to us – registration details for participants will be available soon. For further information please contact Matt Butchers, Knowledge Transfer Manager, Industrial Mathematics.